Anyone who knows me well knows that I love to cook. Now I’m not a chef by any stretch of the imagination. I just like to cook good home cooked food. My only culinary training was from my mother and grandmothers, all of whom were women who knew their way around a kitchen. There was no technique to creating their Southern cuisine … just a little bit of that and a dash of that. Anyway, it’s that time of the year when I start to avoid the kitchen. You see, Louisiana summers are so hot that I can barely stand the thought of cooking dinner, standing around in a hot kitchen. I’d be totally fine with eating thick slices of tomatoes sprinkled with feta cheese all the way from mid-June straight through until late August. The rest of my crew does not share those feelings. Those growing teenage boys of mine want meat, and lots of it! That’s why I love my crockpot. I can start that lovely contraption in the morning and by supper time I’ve got a lovely pot roast or tender pork chops. It’s fantastic for summer cooking! Of course, I love it for winter stews and soups, for Sunday lunches ready to eat when we walk in the door from our church service, and for busy days when I literally have no time to prepare a hot supper. I’ve got lots of great kitchen gadgets, but by far that crock post is my most loved kitchen appliance. However, crockpots do not like me. Jon and I have been married for 4 1/2 years and I’ve had at least SIX crockpots during that time. One quit heating properly. The next two crockpots bit the dust when the stone insert cracked. The final three crockpots met their demise when the lids were systematically smashed by our foster toddlers. The second time the lid broke, I decided to circumvent the guilt and buy a replacement lid from an online supplier. But before I placed the order, I happened upon a large sized 7 quart crockpot on sale for just $8. Naturally, I just had to buy it. For the past couple of months, I’ve had two crockpots … but only one lid. I have to admit, that there were some advantages. For example, I could cook an overnight meal to serve at lunch and still be able to put something else in the crockpot for dinner that night. Yet, the situation made me a little bit sad as well. After all, how much easier it would be if I had two working crockpots? I cook for a family of nine, and all but our two foster toddlers eat adult-sized portions. Let me be real for a moment and share a truth: One pot roast does not feed my family. Having just one crockpot often puts a strain on me simply because I am limited in how much I can prepare. For example, if I make chili in my extra-large 7 quart crockpot, I typically have one large or two small servings left over. There is nothing for an extra meal later in the week. Nothing to put back in my freezer. But imagine for a moment that I made two crockpots full of chili on the same day. The prep work wouldn’t be much different, but I would have two night’s worth of meals. I spent the last couple of months toying around the idea of ordering an extra lid, but never go around to actually doing it. I just couldn’t fully justify the extra expense when there were so many other things we needed more than an extra fully-functioning crockpot. Then two weeks ago it happened … a foster toddler managed to get a hold of my one crockpot lid and before I knew it glass was everywhere. Of course, our first reaction was to make sure the screaming baby wasn’t hurt. To our relief, there was not a single cut. Her tears were just a reaction to the loud crash of glass and metal on our kitchen’s stone floor. You’d think I would have gotten on my computer immediately and ordered crockpot replacement lids … but I didn’t. Remember, I am mom to seven kids. Most of what I do all day long is cook, laundry and chase around toddlers. I barely check my email, much less order anything online. Days passed by with good intentions, but I just never got around to taking care of it. Finally, Jon took pity on me. “Paige,” he said one night as we finished up dinner, “I’m going right now to my office where I will personally order you two crockpot lids. 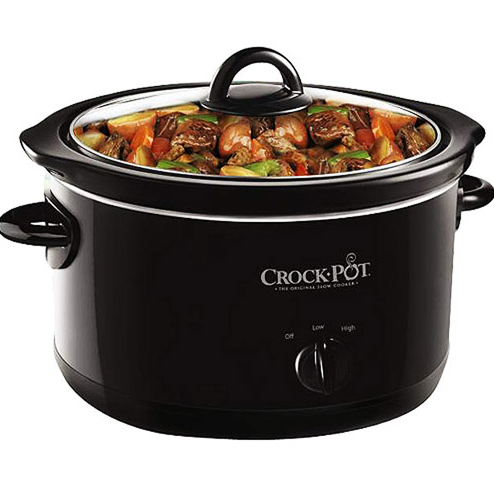 Are both crockpots the same make and model?” As I beamed at my hero-husband with relief, I had no idea that my crockpot fiasco was only getting to its climax. Ordering crockpot replacement lids should be a simple enough procedure. Jon sat down, found the lid to match my crockpot and placed an order for two lids. Immediately afterwards, a message box popped up stating the order could not be completed as there were not enough lids in stock. Boo! Fortunately, or so we thought, lids came with two different handles. Red or black. So Jon just ordered two lids of the opposite color. After all, as long as the lid fit the crockpot base, who cared if the handle actually matched. Again, he placed the order for two crockpot lids only to have the same message box appear. Sighing, Jon went back to searching for another website that carried replacement lids for my crockpot. 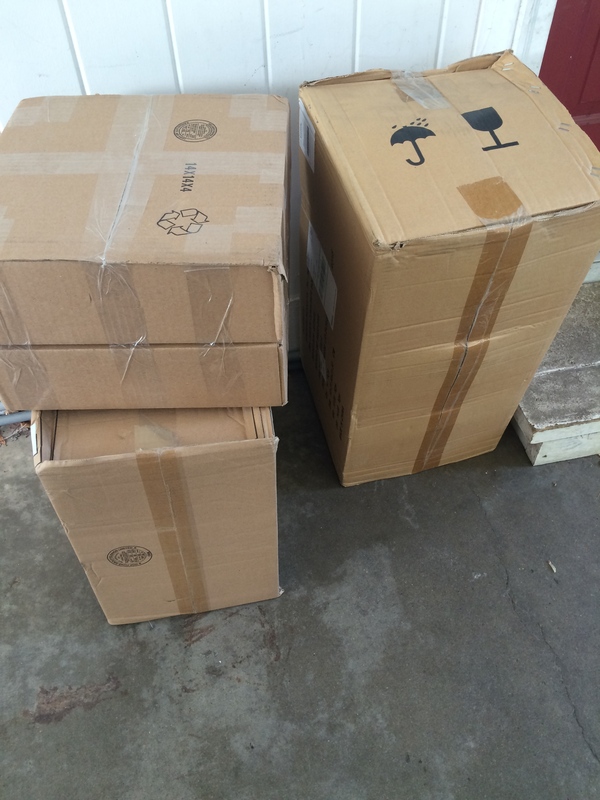 Soon the order was complete for two crockpot lids and to our delight everything seemed to go through just fine. Y’all, I now am the proud owner of six crockpot lids! Four with black handles and two with red. What’s a girl to do?! Last night as I was lying in bed, I kept thinking about those crockpot lids. Even with my terrible crockpot track record, keeping all six lids would be a bit excessive. Yet, when I stop to really think about it, somehow my life often feels like one of excess. My closets are stuffed with clothes and shoes. My pantry is overflowing with good food. The children have more toys than they know what to do with. I never think of us as being wealthy, but by the world’s standards my American middle class home is among the top 1% of the richest people on earth. I recently read the book Seven by Jen Hatmaker. The book chronicles her experiment with eliminating excess and drawing closer to God. For seven months, she tackles one area each month, limiting herself to just seven choices. The first month it was seven foods. The second month, seven articles of clothes. And so forth, until she covers the areas of possessions, media, waste, spending and stress. God doesn’t care about giving me a life of excess. He is still the same Holy God who only provided enough manna daily for the wandering Israelites. So if He promises to watch over the sparrows of the field, then I can trust Him to provide me with enough crockpot lids … and whatever else I might need on this side of Heaven as well. And now, with that prayer ruminating in my heart, I’m off to the post office so that I can return four crockpot lids for a refund.